By this time of year, most people have opened their swimming pools and are ready for Memorial Day weekend, and, soon to follow, summer fun! 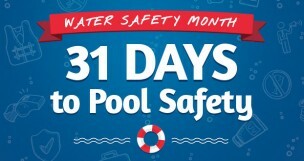 That is why May is recognized as National Water Safety Month. It is a great time to reflect on the safety of your pool area and your family’s pool safety preparation. To make it a bit easier to prepare this year, we decided to illustrate four of the top layers of protection for your swimming pool. Follow the ABC’S of Swimming Pool Safety: Adult Supervision, Barrier Pool Fencing, CPR Training and Swimming Lessons shown below. You’ll also find some valuable tips and facts for each of these layers of protection. This will help you to keep your family safe around the pool, so you can enjoy your beautiful backyard. 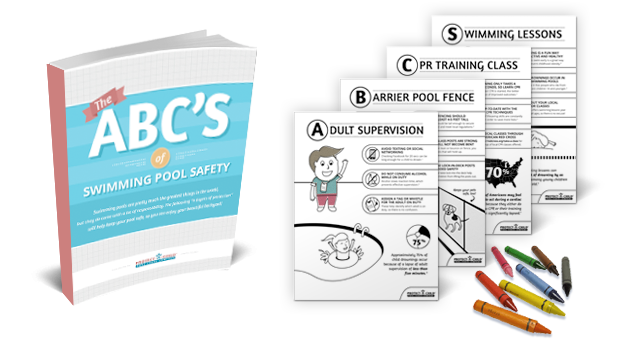 Download the Print-Friendly eBook & Coloring Book for Our ABC’S of Pool Safety! These FREE downloads provide you with a great way to review pool safety best practices with your family, while also providing a little coloring fun for the kids! Assign a tag or whistle for the adult on duty—These help identify which adult is on duty, so there is no confusion. Fiberglass posts are strong and will not become bent – Children may lean on or bounce off of the fence, so you want posts that will hold up. Choose lock-in-deck posts for added safety – Posts that twist-lock into the deck help prevent children from lifting the posts out. 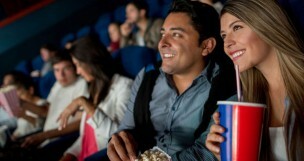 Find local classes through the American Red Cross – Visit http://redcross.org/take-a-class for latest listings of local CPR classes offered. Check out your local YMCA for classes – The YMCA offers swimming lessons year round for all ages, so there is no excuse! Can You Find the 4 Things Wrong with This Picture?